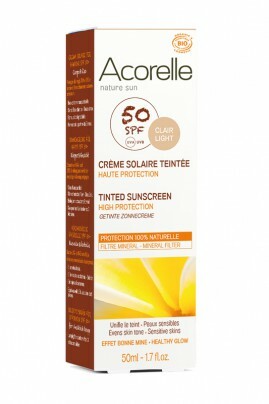 Acorelle Organic Tinted Sunscreen Cream for Face is ideal for sensitive skins. It provides SPF 50 protection for face against UVA and UVB rays. Light tint, its natural formula combines a mineral sunscreen as protecting shield with organic argan oil to nourish skin. Non-sticky and water-resistant, Acorelle Natural Tinted Bronze Sunscreen Cream's unify and brightens your complexion ! This Organic Sunscreen protects safely all skin types, even sensitive skin ! 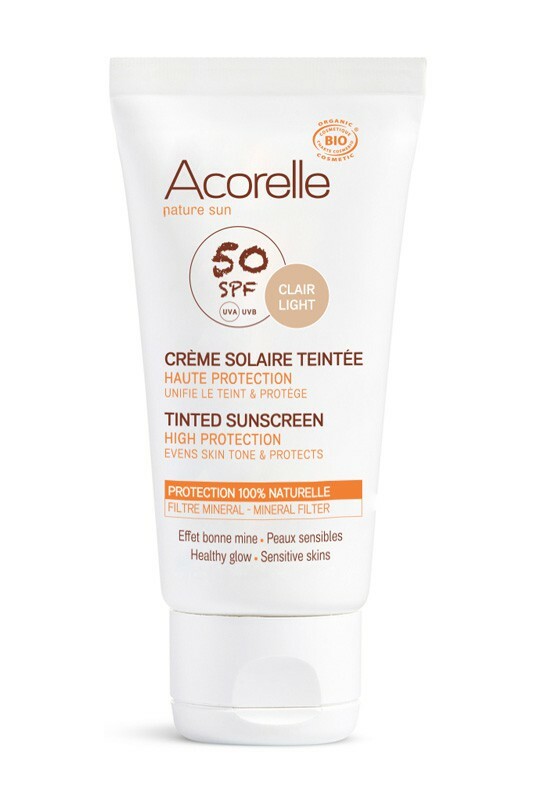 Shake well before use and apply Acorelle Tinted Sunscreen Cream on your face before exposure to the sun, in sufficient quantity (2 teaspoons for an adult). Reapply frequently to maintain protection, especially after sweating, swimming or toweling.